Do you teach high school biology or environmental studies? and work with other teachers across the state? Then, apply for the 2019 Ecosystems of Kansas Summer Institute. 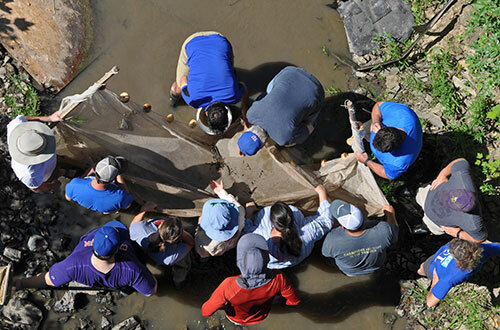 While attending the institute, you will be participating in a variety of activities from carrying out investigations and learning about current university-level research, to exploring diverse outdoor environments. 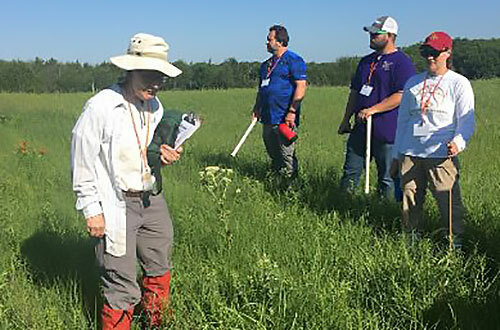 Early in the week participants will be divided into groups based upon their areas of interest to work with Kansas State University researchers. Groups will spend time developing inquiry-based curriculum for their high school classrooms. A Travel allowance will be provided for all participants and housing will be provided for participants who live more than an hour drive from the Konza Prairie Biological Station. Go to the People page to find out more about the researcher who will be facilitating the small groups for the 2019 Ecosystems of Kansas Summer Institute and to learn more about the MAPS researchers. This program could lead to further collaboration through National Science Foundation Research Experiences for Teachers (NSF RET) grants. 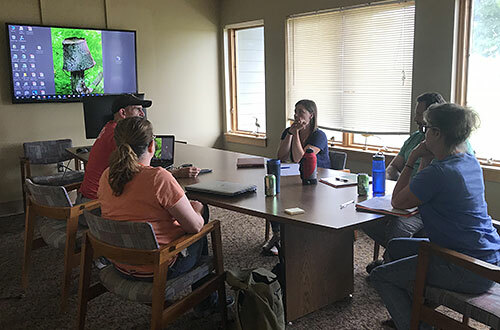 Future programs will take place at the University of Kansas Field Station in 2020 and 2022 and at the Kansas State Konza Prairie Biological Station in the summer of 2021. An overview of the previous session from last Summer.